The new staff will be hired in order to keep the personnel level above the ‘agreed stabilised strength’ of 9,500. THE NEXT ROUND of ‘general service’ recruitment in the Defence Forces will begin “in the first half of 2014″ Defence Minister Alan Shatter has confirmed. The news comes in the wake of lifting of the hiring freeze in An Garda Síochána. Recruitment for new police officers began yesterday, with details available on the Public Appointments Service website. 360 new general service recruits entered the Defence Forces at the start of this month, following the latest round of hiring. They were chosen from existing competition panels. As the Permanent Defence Force is currently below the agreed stabilised strength of 9,500, it is my intention that targeted recruitment will continue within the resource envelope allocated to Defence. It is planned to run a new General Service recruitment competition in the first half of 2014. Details will be made available on the Defence Forces website www.military.ie when the competition commences. 362 personnel left the force over the past year, so the new recruits entering service will ensure the strength of the Permanent Defence Force stays above the 9,500 level. Email “Defence Forces to begin general service recruiting early next year --- Shatter”. 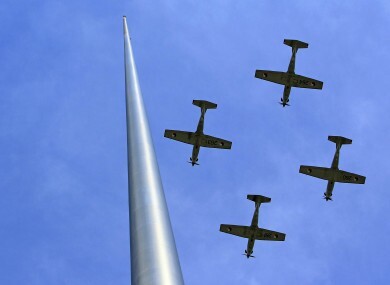 Feedback on “Defence Forces to begin general service recruiting early next year --- Shatter”.